Some exciting things have been happening this week and it’s got us all pumped around here. Firstly, we’ve got our very talented cabinet maker working on some new display shelves and can’t wait to show it off to you. We also bought a few new and vintage bits and pieces to feature on the display. We think it will be a real visual feast when it all comes together!! Then of course our much anticipated packaging came back from the printer’s for approval. It’s all looking pretty good and fingers crossed our online sales channel will be up and running before the end of the month. Here’s a sneak peak at the pack. 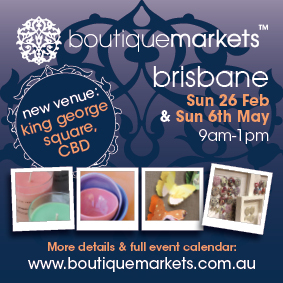 And then of course there’s the best news of all … we are going to be a part of the Boutique Markets this month. It’s on from 9am to 1pm Sunday, 26th February at King George Square Brisbane. 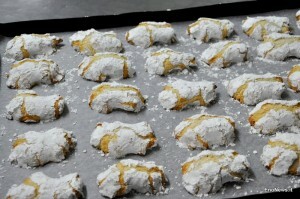 The Cali` family has been making almond biscuits (pasta di mandorla) for 60+ years in their patisseries in Sicily and Brisbane. 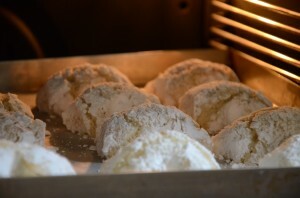 Let us help you become a Sicilian pastry chef in your own home! How they’re made at Caffe Cali, Sicily.